Event space and sites will be presented with great value and wonderful services, food and beverage by calling 831-372-5000 for Carmel Area Reservation Service's free event planning service. Fill out a Group form about your next meeting, wedding, reunion, conference or golf group. You will receive great hotel room rates which are very competitive and plentiful accommodations for all of your attendees. 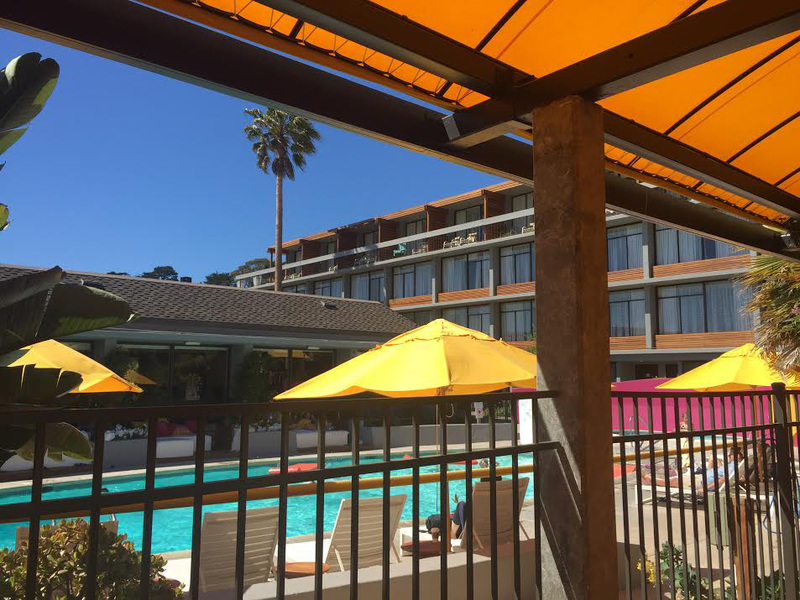 Located close the Carmel River on the Big Sur side of Carmel, this renovated retro hotel is adjacent to Carmel by the Sea shopping and dining plus the historic Carmel Mission Basilica. The hotel adjoins the Barnyard Shopping Village and is just across from the Crossroads Shopping Village . The patios have pool facing awnings and interesting sculptures with a fireplace to sit around plus a large heated pool and outdoor hot tub to splash around in. Outback excursions are off to nearby Big Sur’s ocean, river and redwood country or to Carmel Valley for golf, spa, wine tasting and hiking trails. Spacious rooms have been styled in a fun, colorful, ocean inspired decor which is tastefully done. Rooms feature comforter on your 1 king size bed or 2 queen size beds. All have full bath, refrigerator, and coffee maker, desk or table and internet access. There are some pet-friendly designated rooms subject to availability.Come to Carmel Mission Inn and plan to stay in comfort and style. Rooms range from family friendly lodging with 2 queen size beds, to rooms for couples with 1 king size bed with balcony, patio and poolside hotel rooms and for those travelling with a beloved pet pup. Carmel Mission Inn offers meeting and event space as well as plentiful guest rooms for your group’s every occasion, based availability for your preferred dates.